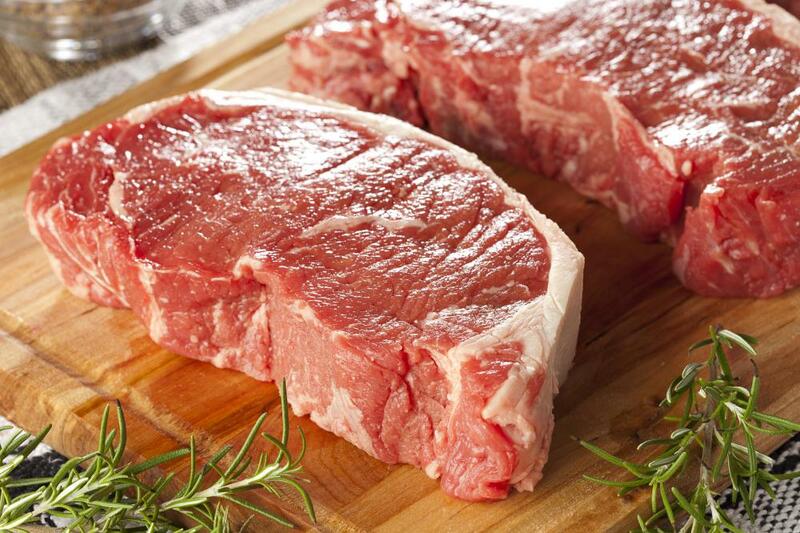 What is the Difference Between Red Meat and White Meat? Chicken is a type of white meat. Beef is one of the most common red meats. 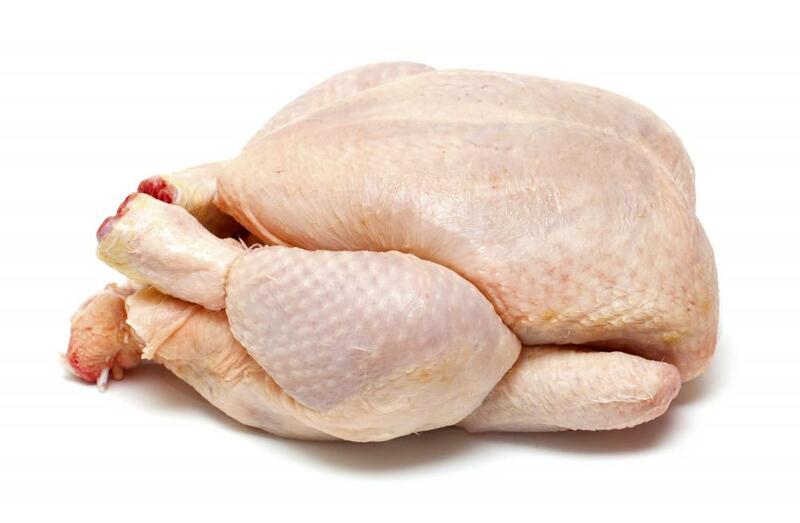 Many food experts say that the only “true” white meat is poultry. 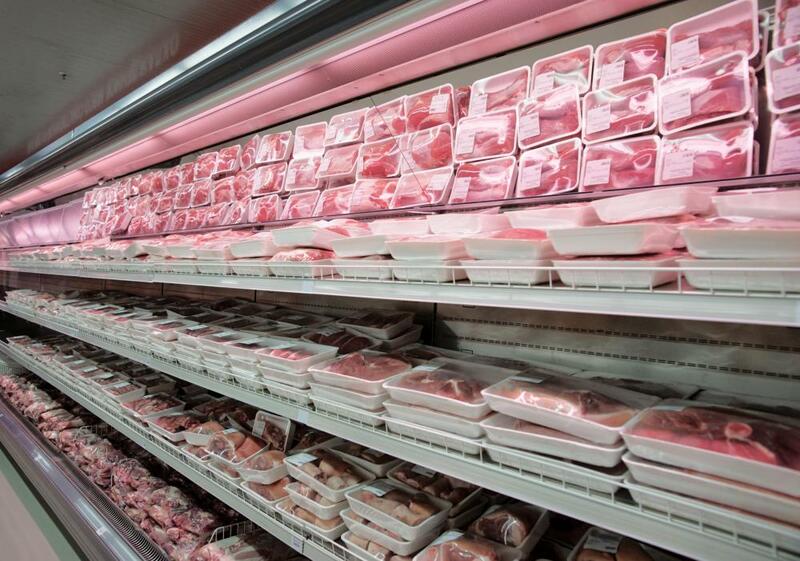 Meat department at a grocery store. Duck legs, a type of red meat. The difference between red meat and white meat varies, depending on who is providing the information. As a general rule, people use the term "white meat" to refer to meats that are pale before they are cooked, such as poultry, pork, and fish. Red meat, on the other hand, is meat that is distinctively red before cooking, as is the case with beef and lamb. The terms "white" and "dark" meat are also used to describe two different types of meat in a single animal, most commonly in the poultry industry. 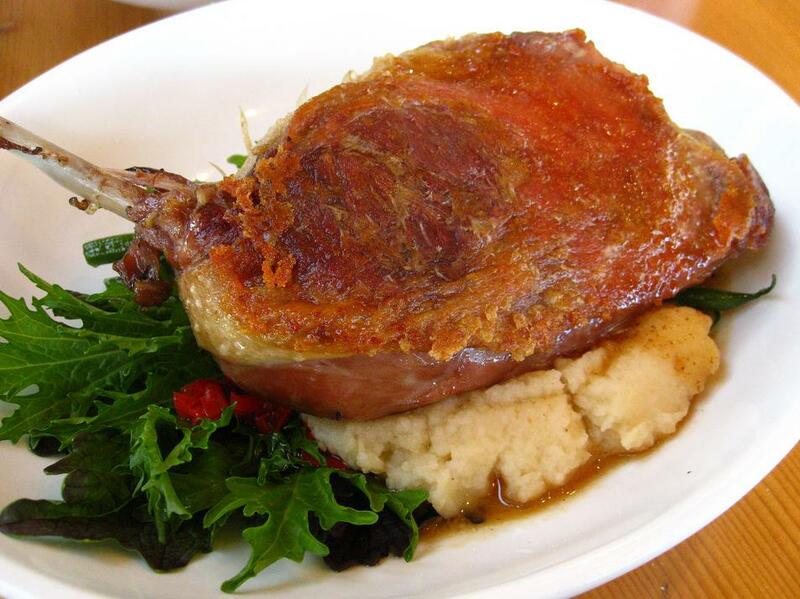 Some people say that red meat is from mammals, while white meat is from other animals. Others create a third category for game. It is also not uncommon to see birds with a high concentration of dark meat like ducks and geese categorized as "red meat," despite the fact that their meat is pale before cooking. 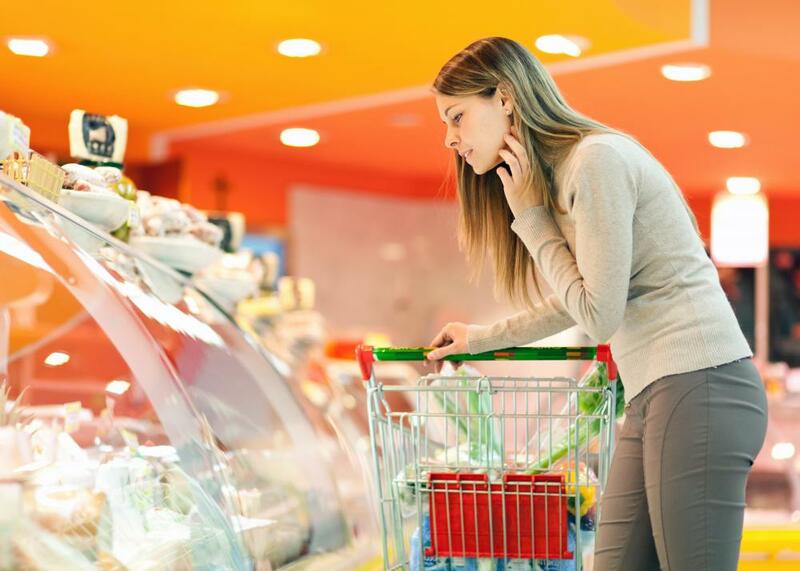 The confusion over the types of meat can be frustrating for consumers, especially when they read about things like a greater risk of cancer associated with red meat, as they may not know which meats are being referred to. One way to think about the division between red meat and white meat is flavor. White meats tend to be more bland, as is the case with both chicken and pork, while red meats have a more intense animal flavor. Red meats are red because they have a higher concentration of myoglobin, a substance that helps the muscles utilize oxygen more effectively. Myoglobin creates a distinctive dark color, and it also allows muscles to be used for sustained, extensive activity like standing and walking. In the world of poultry, dark meat also has a higher concentration of myoglobin, because it comes from parts of the body that have more muscular development, like the wings and legs. White meat in places like the breast is less muscular, designed for brief bursts of power rather than prolonged work. It could be said that red meat is for regular daily use, while white meat is intended for quick responses which are not sustained for very long. This difference is easier to pin down, because meats can clearly be categorized as having either slow twitch muscles designed for prolonged use or fast twitch reflex muscles. When it comes to health risks, the differences between "colors" of meat appear to be primarily related to the myoglobin and fat content. Some studies have suggested that myoglobin may play an as-yet not understood role in the body that could increase the risks of cancer, and the fats associated with red meat are definite health risks. White meats are typically leaner, which is one of the reasons they have traditionally been touted as healthier. What is a Meat Pounder? @cloudel – I feel the same way. Some people also say that they feel overly full after eating dark meat, but I think that if you just eat a little of it, you won't feel that way. I love the dark meat of chicken drumsticks. However, I can tell that it is greasier than the other parts. I only eat two drumsticks per meal. If I ate more than that, I might feel a little sick. I think it's best to eat one chicken breast and one drumstick to even the score. I think the main difference between red meat and white meat is the way you feel after eating it. I always feel stuffed and a little uncomfortable after eating a hamburger or a big steak, but if I consume an equal amount of turkey or chicken, I feel satisfied and light. Red meat just seems to weigh down my intestines. White meat makes me feel like I've chosen the right food for my body. Fish is my favorite white meat. I have so many choices within that category, but if I ate chicken often, I would only be eating chicken. I love tilapia, catfish, salmon, and flounder. I eat new types of fish whenever I go on vacation at the ocean, so I'm always adding to my fish experience. Fried fish is tasty, but I prefer sauteed or grilled fish seasoned with herbs and butter. It's better for you, and it also has more taste. Sometimes, fried fish can taste like nothing but the grease it was prepared in, so it's better when the herbs and spices have a chance to come to the forefront. @golf07 – I know what you mean. It is disturbing to see a small pool of blood form whenever someone cuts into their steak! My husband is always wanting to buy steak, but I tell him that he has to agree to cook it at least medium rare. He agrees to satisfy me, but I know he really would rather eat it as red as red can be. I like my meat fully cooked. I have no problem with steak, as long as the pink is gone. I eat very little red meat mostly because I don't care for the taste or texture of it. Chicken and turkey are my favorite meats and I always eat the white meat. I know the dark meat is usually not as dry, but I don't like the taste of it nearly as much as the white meat. You pay more for the white meat but I think it has a better flavor than the dark meat. My son loves steak and I think he has some kind of steak every week. He likes this barely cooked and I have a hard time watching him eat red meat this way. If I do eat red meat, I don't want to see any red or any pink in the meat at all. I like to eat red meat but really don't like the taste of venison. This has much too strong of a game taste for me. I know some people will mix half venison and half beef so this isn't so strong, but I can still taste it and prefer not to eat it at all. Other wild meat that is considered red meat like elk meat doesn't have this strong flavor and I find it to be even better than beef. When it comes to eating red meat I think it matters what type of red meat you eat. If you are going to your local grocery store and buying what they have on the shelves, then I think you really should cut down on this in your diet. This meat is usually full of antibiotics and hormones that you don't want to be putting into your body. If you eat organic or grass-fed beef I think that is a much different story. This meat does not have all these additives and is a good source of protein. When my husband goes hunting I know the meat he gets is healthier for us than what is sold in the store. I like all kinds of meat and eat a variety of both red and white meat, but like to stock my freezer with meat that is organic. @anon48202 -- I live in a state that raises a lot of pigs and there is a lot of pork eaten in our state. I remember when the pork producers started the campaign touting pork as "the other white meat." I think this is more a marketing thing than anything else. Most people think of chicken as being white meat and try to eat more of this and cut down on their red meat. Sometimes pork gets a bad rap when it comes to the health benefits and I think "the other white meat" campaign was started to get people to think that eating pork is just as healthy for you as eating chicken. The whole red meat vs white meat has been raging on for decades and I think the whole thing is misguided. The way we should think about it is meat vs no meat. A lot of people eschew eating red meat because they think it is terrible for their health. But there are lean cuts of red meat that, while not necessarily healthy, are a lot better for you than a juicy beef burger. If you can find bison meat for sale that makes a great alternative. The flavor is similar to beef but there is not nearly as much fat. If you marinade and grill a bison steak you are likely to not be able to tell the difference. What causes some animals to have white meat and some to have red meat? They all have red colored blood. You would expect all the meat to come out the same, right? I didn't see the other white meat listed! What about possum? Red meat which is basically beef has its fat marbled through out the meat as well as on the edges of the meat. Pork and other meats carry the fat on the outside edges of the meat. This is one reason red meat is juicy and moist where pork and other meats like the breast meat on chicken and turkey have a tendency to be dry. why is white meat more prone to bacteria than red meat? Is Chicken a meat? Yes. Anyone who thinks it isn't is truly ignorant or just lying to themselves. Is pork really the other white meat? Actually that's an advertising slogan invented in the 80s. the answer is, it depends on who you ask. It's a mammal, so it may be 'red' yet it's pale therefore it may be 'white'. Are bacon and sausage white or red meat? - see above. but personally, I believe they're all red meat. Especially beef sausages. Is Chicken liver red or white meat? It's neither. It's not meat (muscle tissue). It's offal. is chicken a meat and if not, why? Is pork really the other white meat? Are bacon and sausage white or red meat? Is Chicken Liver red meat or white?